Next time you hope into a car from ride-hailing service Sidecar, your co-passenger might be a bag of weed. The company announced that it is teaming with local cannabis service Meadow to bring same-day weed deliveries to medical marijuana patients in San Francisco. The new service will fulfill orders through the Apothecarium dispensary. Currently, package deliveries already constitute about 10 percent of Sidecar’s ride volume in San Francisco. However, carrying cannabis poses a number of unique challenges — such as ensuring that the person taking delivery is the same person that placed the order. 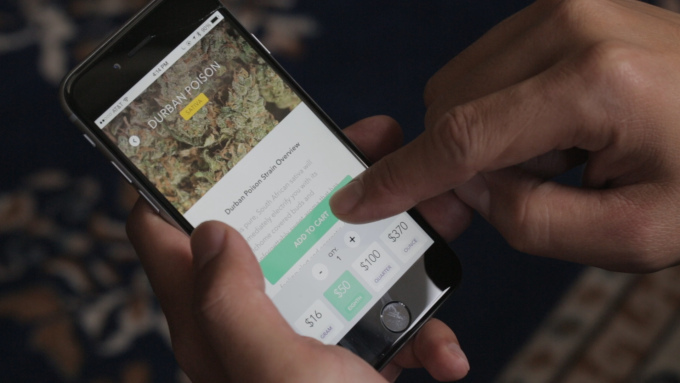 Well surprisingly or not, SideCar isn’t even alone in the weed on-demand business. Uber partnered with a Colorado pot shop in August, and at least eight much smaller marijuana delivery startups have cropped up in the last year alone. For now, SideCar’s foray into weed delivery is limited to San Francisco. But the company wants customers–and investors–to know that its ambitions go way beyond delivering marijuana and master kush cannabis strain. SideCar already transports everything from groceries to flowers, tacos and power tools in Seattle, Los Angeles, San Diego, Chicago, Boston and Brooklyn. And it says that half the time its San Francisco drivers are carrying paying passengers they’re also on their way to deliver something else. It is pretty clear that the company hopes that today’s announcement helps distinguish it from much better-financed rivals like Uber and Lyft. The company is also looking to expand this service to other cities in the future.